It seems like the Back To The Future theme is played out? Ludacris would have to disagree. As you can see up from the picture up above. 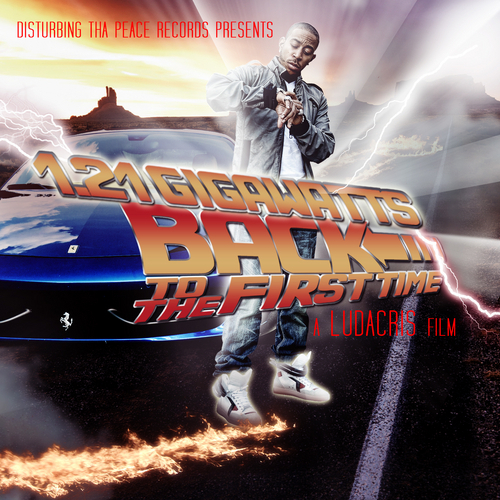 Ludacris drops some new music to the masses and delivers his new mixtape titled 1.21 Gigawatts Back To The First Time presented by Disturbing Tha Peace. 12 tracks with special features from Big K.R.I.T, Rick Ross, Juicy J, Gucci Mane just to name a few. 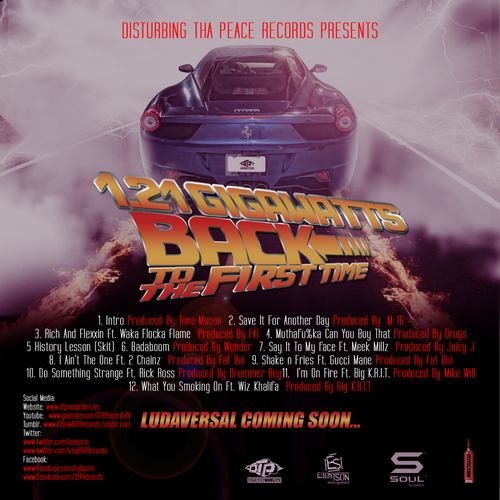 Watch out for the new album called Ludaversal coming right up. Click the read more tab for the mixtape stream.